Mighty Words To Help Leo Move Forward!  Leo reps remind of the Sun – when they’re happy they make everyone around them happy, too; but when they’re sad others will have to suffer a bit. If you manage to nourish your inner joy and feel happier more often than you do now, your close ones are sure to appreciate it. Even if you’re feeling not so secure as you wish to, try not to wear your heart upon your sleeve. The best places to meet The One for Leo! The best astrological stress relief tips for Leo.